You know, I'm really happy today. Despite the fact that the winter is back and a nice sunny day suddenly turned into a snow storm I'm sitting here and smiling. And I've got several reasons for that. First of all, yesterday for the first time in my life I've posted a pattern to Ravelry. 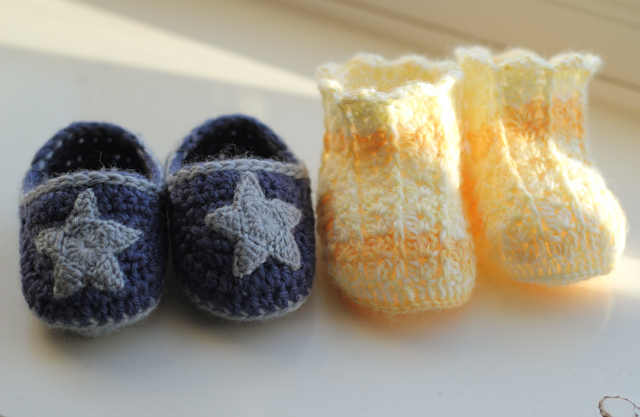 My tiny newborn socks. And today I've discovered that 47 complete strangers added it as a favourite and one lady already knitted a pair! Wow! Then yesterday in the evening while Little Man was having a nap I translated the same pattern into Russian for the lovely ladies in Russia who knit and crochet charity blankets and clothes for children in Russian orphanages. Send it to one of them and she posted it into her blog so ladies could use the pattern for their charity projects. And again - almost 40 complete strangers re-posted it to their blogs. Someone would say that 40 is not much and even 80 (if I would count all of them together) is not much too, but for me it means a lot. Really a lot. And first of all it is so important to me because I don't know this people and they don't know me, so they liked my pattern not because they like me and want to be nice and polite, but because they all like what I did. And it makes me feel happy and proud of myself. The other thing that made me smile was a response from the lady from Canada who received my pot holder, that I crocheted for her participating in a Pot Holder Swap on swap-bot.com She loves it and it was nice to read how talented I am and how perfect the work and the colours are. The yellow ones were made using a pattern found here which actually is not a pattern but a Japanese crochet chart (the chart itself can be found here ). It might look a bit confusing but after you figure out what they mean in the chart the booties turn out to be quite easy. I used 3mm crochet hook and some DK yarn and the finished size is about 3-6 months. The blue ones are actually my favourite. For them I used a pattern I found on Pinterest but I had to modify it a bit as I just could not understand the pattern in the end. 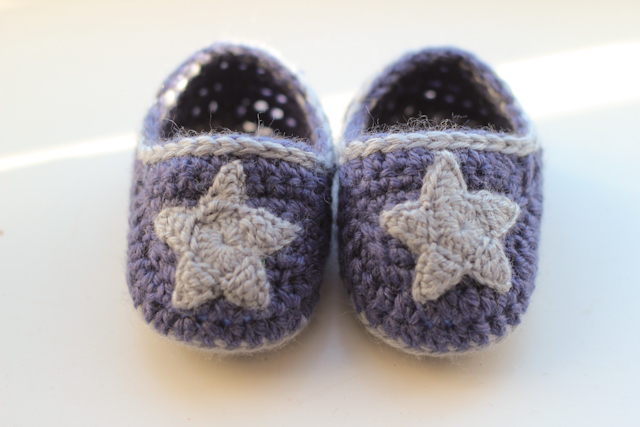 Little crocheted star pattern can be found here and I used 2mm crochet hook and a bit of 4ply for them. For the booties I used 3.5 mm crochet hook, not 4.25 as in the pattern as I just didn't have one, and DK yarn leftovers. 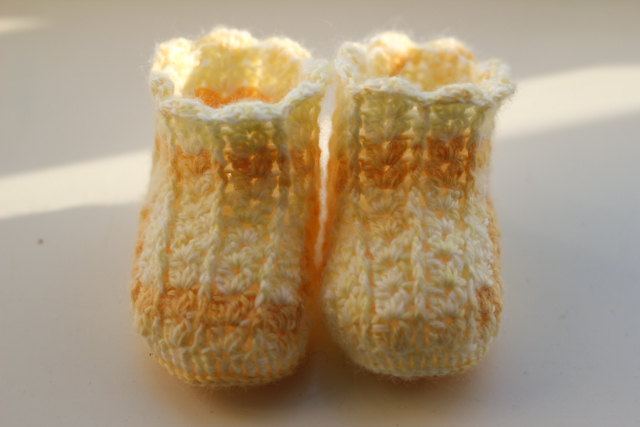 The size I was making was 6-9 months, but I ended up with a really tiny pair, 0-3 or even newborn size... Was it my crochet hook that changed the size so much? And this lady is already knitting her second pair!! 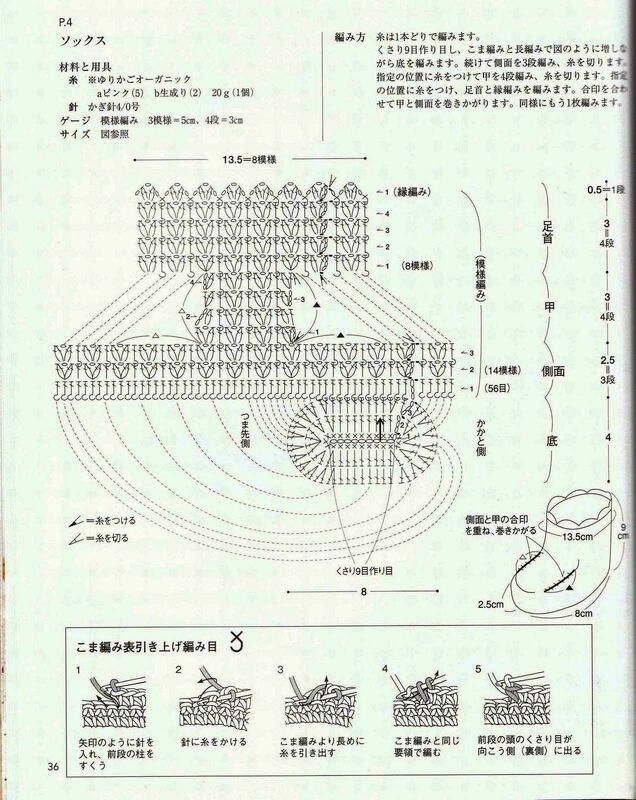 AWESOME pattern!